Hinshaw, John S., head-of-household, age 26, born in Texas; father born in Tennessee; mother born in Arkansas; single; farmer. Hinshaw, Mary, mother, age 60, born in Arkansas; parents born in Arkansas; widow. Hinshaw, Vera, sister, age 17, born in Texas; father born in Tennessee; mother born in Arkansas; single. Hinshaw, Walter, nephew, age 3 years 2 months, born in Texas; father born in Arkansas; mother born in Texas; single. Hinshaw, Walter S., nephew, age 14, born in Texas; father born in Arkansas; mother born in Texas; single; attended school. HINSHAW, WILMA ISABEL, Wilma Isabel Hinshaw was reunited with her husband Walter, the love of her life on December 15, 2006. Born February 11, 1920 in Lamar County. Isabel lived a wonderful life devoted to God and her family. She was truly special to everyone who knew her. Her trademarks were her cooking, especially her pies and cakes, and her gardening. Walter and Isabel were a special team until his death in 2001. They were founding members of Cornerstone United Methodist Church. Her strength, patience, and love for her family will be dearly missed. She is survived by Dr. Duane and Kimberly Hinshaw, Joel and Emily Hinshaw, Scott Hinshaw. Brothers J.W., Ollan, Joe, Ronald, and Larry Golden. Sisters Mary Williams, and Joy Grider. Grandchildren Melissa Anderson and husband Eric, Aimee Hinshaw, Austin Hill, Christopher Hinshaw and wife Melissa, John Hinshaw and fiance' Monica, Jessica and Katie Hinshaw. Great-Grandchildren Ethan, and Evan Anderson; special family Marty, Carie, and Lisa; And Special Caregiver, Miss Rachel. Services will be Sunday December 17 at 3:00pm at Williams Funeral Directors. Visitation will be held from 1:00pm to 3:00pm on Sunday, December 17, 2006. Memorials can be made to Cornerstone United Methodist Church at 7502 N. Garland Ave. Garland Texas 75044 for "Walters Lift." GARLAND -- Wilma Isabel Hinshaw, 86, was reunited with her husband, Walter, the love of her life, on Friday, Dec. 15, 2006. Services are set for 3 p.m. Sunday, Dec. 17, at Williams Funeral Directors. Visitation is scheduled from 1 to 3 p.m. on Sunday at the funeral home. 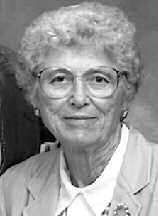 Born Feb. 11, 1920, in Lamar County, she lived a wonderful life devoted to God and her family. She was truly special to everyone who knew her. Her trademarks were her cooking, especially her pies and cakes, and her gardening. She and her husband were a special team until his death in 2001. They were founding members of Cornerstone United Methodist Church. Her strength, patience and love for her family will be dearly missed. 1920 census, Precinct 2, Lamar County, Texas; roll T625-1827, ED 104, page 3A, line #34, dwelling #52, family #55. 1930 census, Precinct 2, Lamar County, Texas; roll T626-2368, ED 17, page 3B-4A, line #98, dwelling #65, family #61. 1930 census, Precinct 3, Lamar County, Texas; roll T626-2368, ED 21, page 7B, line #83, dwelling #131, family #136.